When you learn how to crochet, you are instructed to insert your crochet hook through both loops of a stitch. This is traditional crochet. However, as you get more advanced, you will see that you can also work into only one of the loops of any basic crochet stitch to achieve different effects. 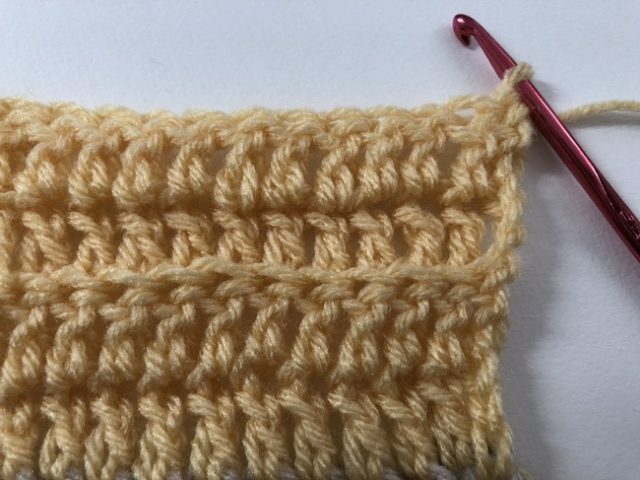 This is called “front loop only” (FLO) or “back loop only” (BLO) crochet, depending on which stitch you are working into. 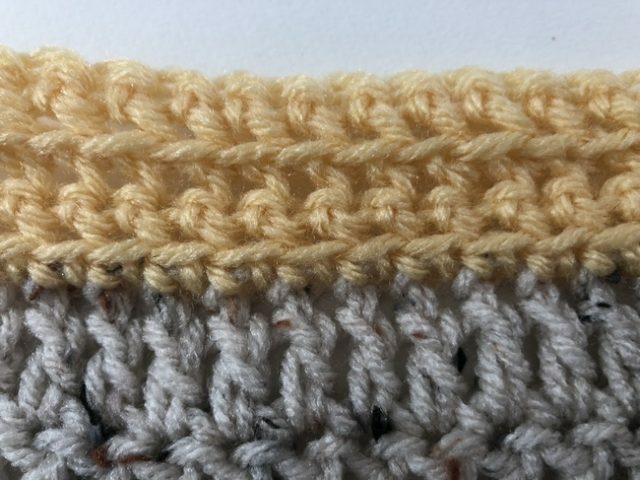 The photo above shows what it looks like when you make a typical crochet stitch. When inserting the hook into the next stitch, you insert it under both loops of the stitch. 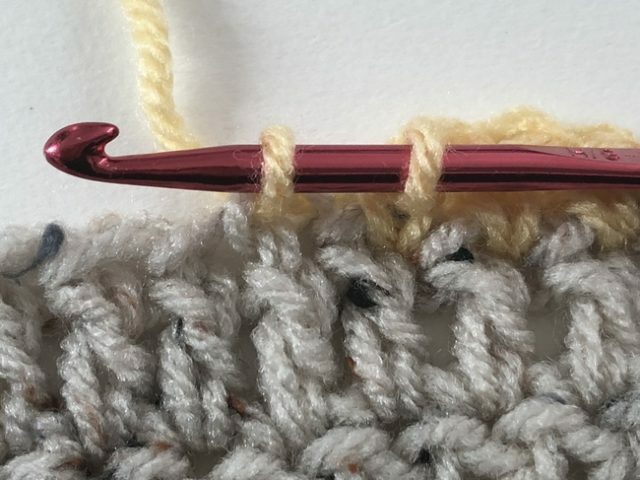 You can see that both loops are sitting on top of the crochet hook. If you look at the stitch to the left of the hook, you can see that the two loops together form a sort of “v” shape, with the bottom of the “v” pointing to the right. When you work into both loops, you make sure that you inset the hook underneath the two arms of the “v” so that both sit on top of the hook. 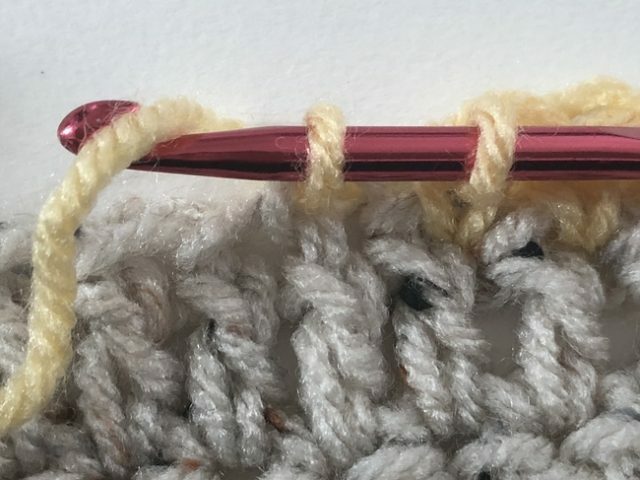 You can work into the front loop only of crochet, typically abbreviated (FLO). 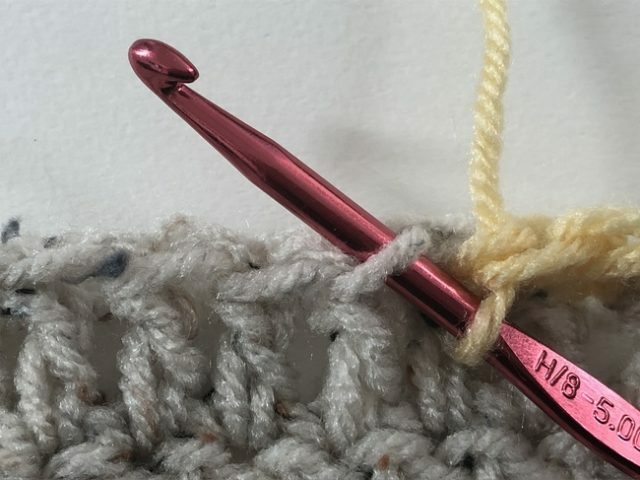 To work FLO crochet, you will insert your hook through only the arm of the “v” that is closest to you (or at the “front” of the work. You will still insert the hook from the front of the work towards the back, just as always, but you will only do so through this one loop. You will have one loop on your hook and the other arm of the “v” will be behind it. 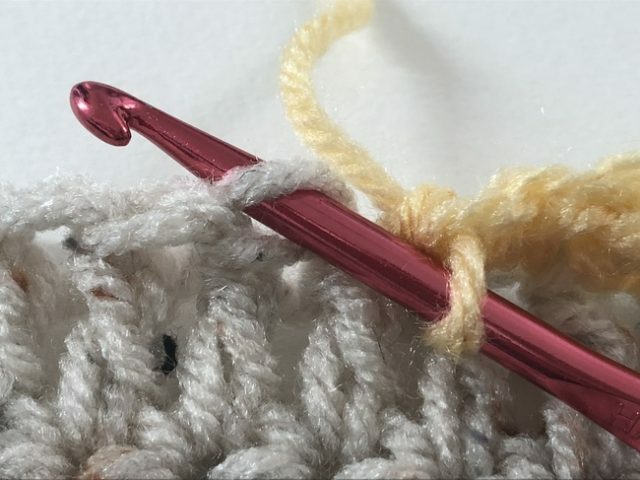 Let’s look at working FLO single crochet. You’ve already inserted your hook into the front loop only, so now you need to yarn over. And pull through. 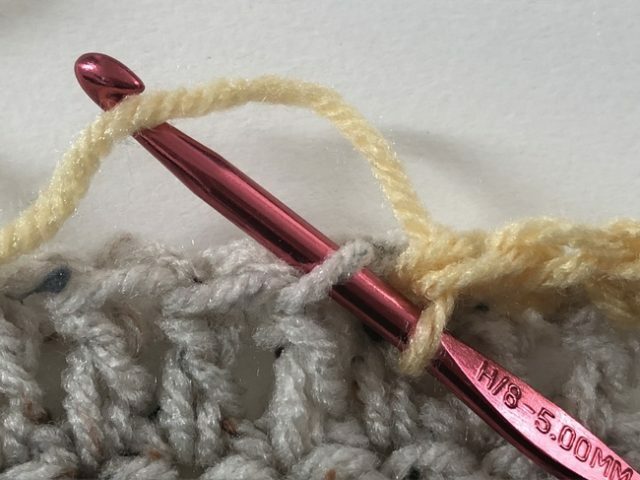 You’re not doing anything novel; you’re still following all of the steps of a standard single crochet with the only difference being where you initially inserted the hook. So now you’ll yarn over and pull through the loops on the hook to complete the FLO single crochet. Crocheting in the back loop only works the same way except that, of course, you insert the hook into the back loop of the stitch instead of the front loop. Insert your hook into the arm of the “V” that is furthest away from you or at the “back” of the work. Otherwise, proceed with your stitch as normal. 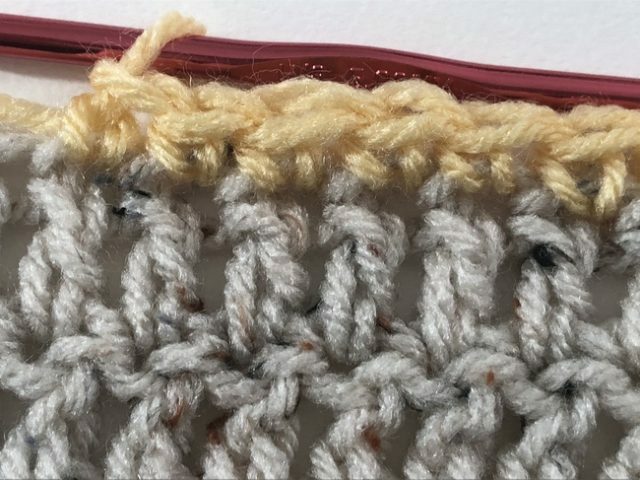 When you first work a row of crochet stitches in front or back loop only, it may be hard to see the difference between the two, but they actually have different effects, especially when worked across multiple rows. Both options will change the texture of a piece, as compared to when you work in both loops, but each will do so in its own way. Front loop only crochet tends to look flatter than back loop only crochet, so the texture shift is a bit subtler, but you do get nice lines across the work that add a fun design detail. Front loop only crochet also creates a stretchier fabric than working in either both loops or the back loop only, so when you want an item to have stretch to it then FLO is a great choice. Back loop only crochet has more texture; it looks almost like one row stands straight up behind another.People often use BLO to create a ribbing effect. 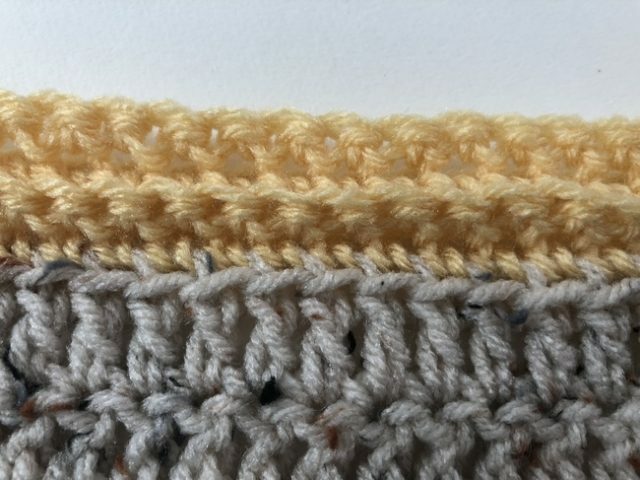 Although we’ve showcased how working FLO or BLO is done in single crochet, it is a technique that can be done when working any stitch. 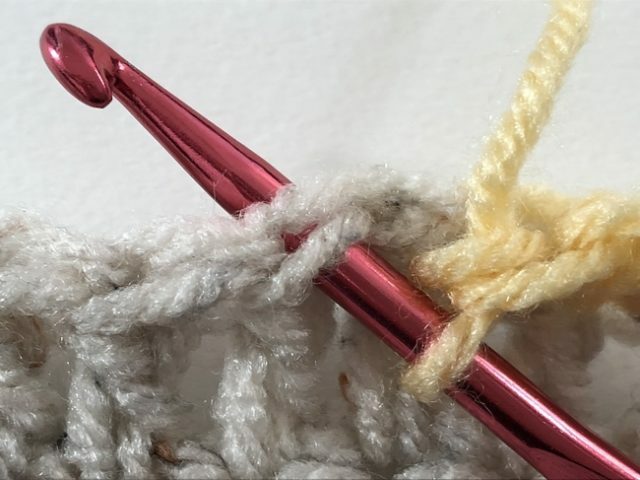 The stitch itself is worked exactly the same as it always is; whenever you need to insert the hook into a stitch, you do so only in the loop into which you are working.